Dim Sum at home! One of my fave Asian appetizers is soup dumplings. If you've never had them, get on it! Picture dumpling dough steamed & filled with incredibly delicious soup! The first thought is, how do they get the soup in there without the dumpling dough breaking?! So I looked up a bunch of recipes & came up with my own, based on my favorite flavors. Not the fastest recipe but it is easy & delicious. You'll feel really accomplished after, I promise. Enjoy! In a large basin, combine the flour, some salt, vegetable oil & hot water to make the dough. Knead well then cover it with plastic wrap & leave it to set until use. In a large pot, heat the vegetable oil, garlic, ginger & onion for 1 minute. 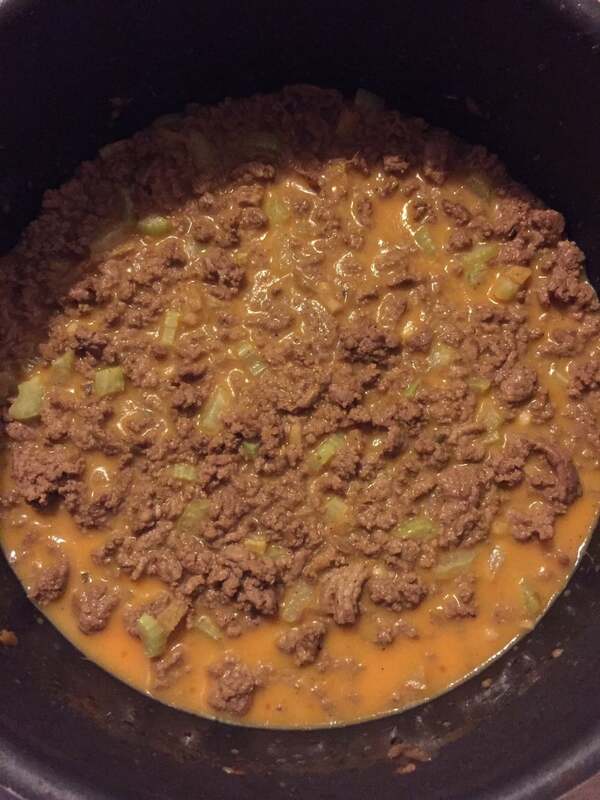 Add the ground meat & let it brown, breaking up the meat. Add the water, chicken boullion cube, celery & chives. You can also add the salt & pepper at this time, and the chili pepper if you like. Let simmer for another 15 minutes then turn off the heat & let it cool. Put the soup in the fridge for at least 4 hours, you want it to turn jelly-like in texture. After the soup is the right consistency, you can start breaking off the dough for the dumplings. Use a large, clean, flat surface sprinkled lightly with dry flour. Break of pieces of dough, slightly smaller than a golf ball. Roll out each piece to about 1mm thick, and round. Fill each dough round with about 1.5 teaspoons of the jelly soup mixture. Fold up the edges to close the dumplings, twisting & pinching the top so they seal well. Place them on a lightly floured cookie sheet so they won't stick to the pan, & put them back in the fridge so the soup mixture doesn't melt. This is very important or your dough will get soggy! Use a large pot filled 1/4 way with water. Cover it with a sheet of aluminum foil, poking it with a fork to create holes for the steam. Ensure the foil is securely tight around the edges of the pot so it won't sink in when you add the dumplings. Spray the foil with Pam or cooking spray. Bring the pot to a boil, and place a few of the dumplings on the foil. Cover the pot with the pot cover & let them steam! Enjoy with a mixture of ginger soy sauce. 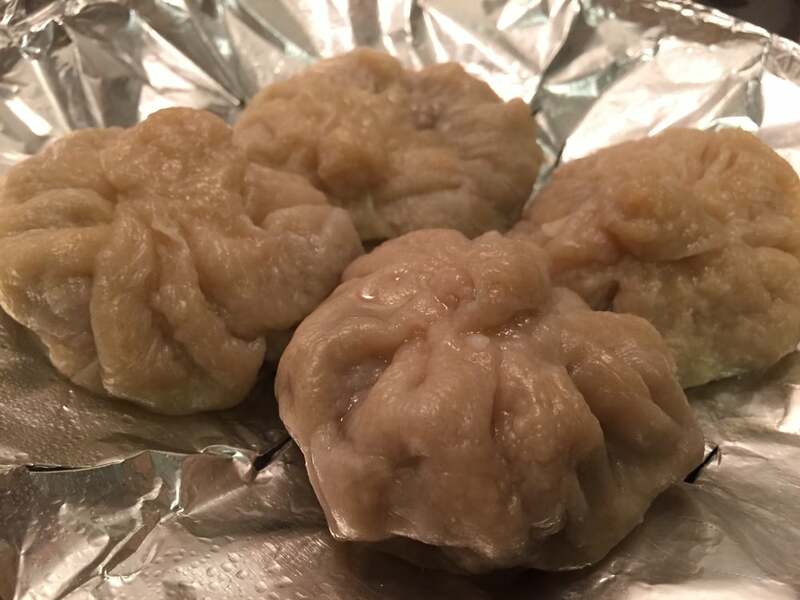 Tip: Freeze the extra dumplings for a quick dim sum another night!